William Budd was the son of Philip Budd, maltster, d.1784, and can't have been aged more than 27. He married Elizabeth Turnbull at Winslow on 13 April 1801. 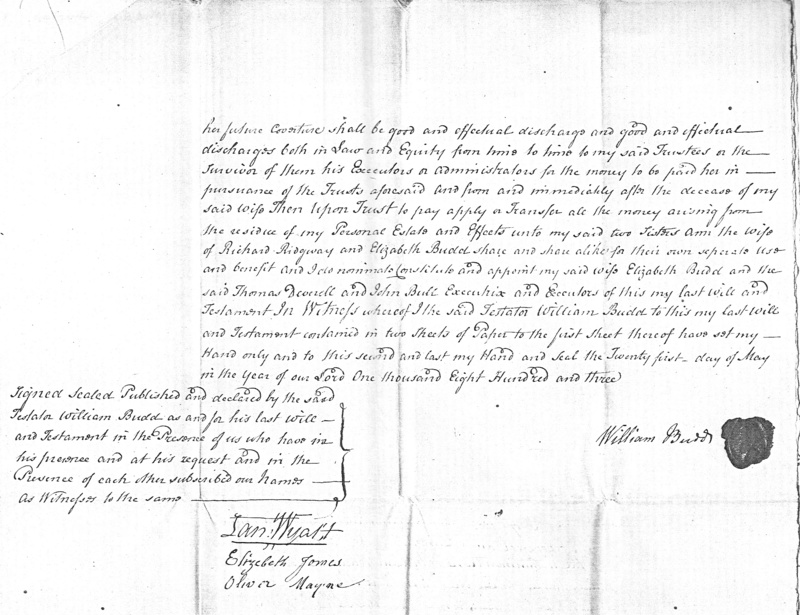 To which WB was admitted by his guardian at a court on 28 & 29 Oct 1796, rents 2d and 2d. 1 & 2 seem to be what is now 36-40 High Street. William must have inherited them in 1796 from his brother Philip, to whom their father Philip left them in 1784. 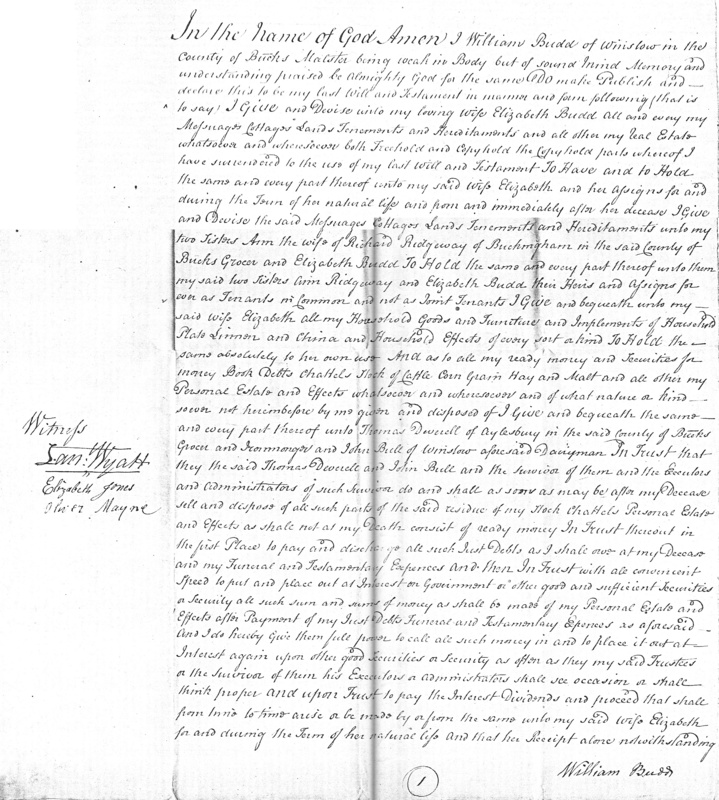 One of the messuages is mentioned in the will of William's grandfather John Budd (proved 1778). The property may be the one mentioned in the will of William's great-grandfather John Budd (proved 1719): "my Coppyhold Mesuage or Tenement in Winslowe aforesaid wherein I now dwell which I Purchassed of Mr Richard Bigg"
3 & 4 are now 20 Horn Street. William's father Philip bought them in 1763 and made his wife Elizabeth joint tenant in 1764. In 1802 William underwent a procedure of common recovery and then mortgaged them for £200 to Richard Seaton of Winslow, victualler.